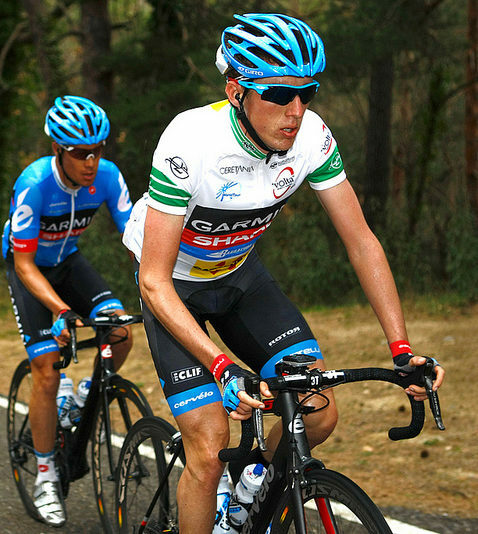 Dan Martin on his way to winning Volta a Catalunya back in 2013. He goes into the race for the eleventh time today and the field looks like a superb one, with a great race expected. Dan Martin returns to Volta a Catalunya this week where he will face most of the heavy weight general classification men in world cycling. A fantastic race is in store and Martin, who has won stages and the overall in the past, will know where he stands in the pecking order by the time the race is done. Chris Froome is back after a long break from racing for what is just his second race of the season. He is in the same Team Sky line-up as Paris-Nice winner Egan Bernal. Another team with two aces to play is Movistar; three-time race winner and world champion Alejandro Valverde in the same selection as Nairo Quintana. Not to be outdone, Mitchelton-Scott has selected the Yates twins, Simon and Adam. Fabio Aru is missing from Dan Martin’s UAE Emirates team as he has been diagnosed with a constricted iliac artery. 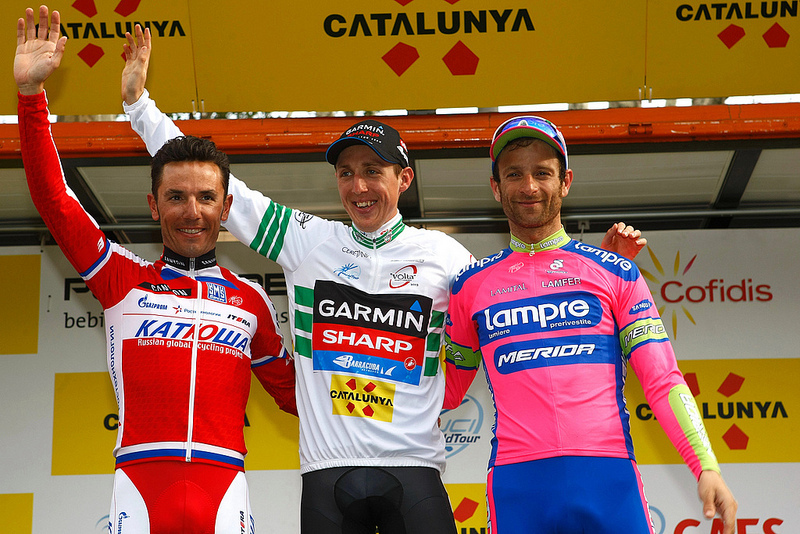 Dan Martin on top of the 2013 final podium with runner-up Joaquim Rodríguez and 3rd placed Michele Scarponi. Romain Bardet and Tony Gallopin both compete for AG2R La Mondiale while Thibaut Pinot and David Gaudu are in the Groupama-FDJ line-up. All of the aforementioned riders are capable of stage and overall victory. But Ireland’s Dan Martin knows the race well having ridden in 10 times already. He won the event overall six years ago and has taken two stage wins in 2013 and 2016; his first stage victory carrying him to the winner’s jersey. Aside from several teams having two riders who can do damage, other squads have leaders who may also challenge. Richie Porte (Trek-Segafredo) won the race four years ago and is back after missing Paris-Nice with bronchitis. Miguel Angel Lopez carries Astana’s hopes while Enric Mas is a potential winner for Deceuninck-QuickStep. The action could be serious from the outset; today’s opening stage 163km with five climbs, three of them cat 1 ascents. While the final climb is only a cat 3 and comes 29km from the finish, the profile is hard enough to split the field significantly.